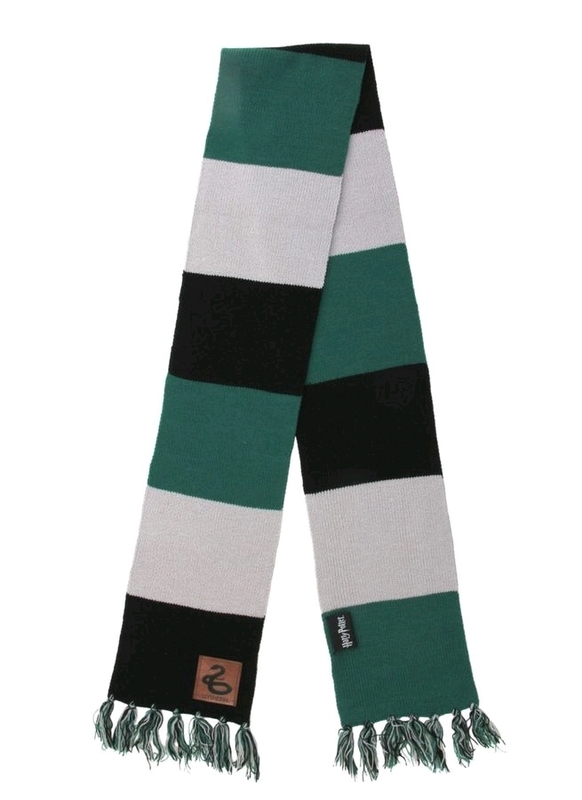 Bright and bold, this knit HARRY POTTER SLYTHERIN Patch Striped Scarf by elope will keep you toasty warm on blustery winter days. Inspired by the cunning ambition of Slytherin house, this scarf showcases color block styling in green, silver, and black in addition to fringe detailing. 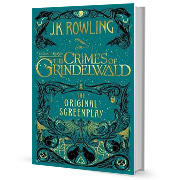 To help you showcase your house pride, a faux-leather patch at the base of the scarf features an embossed Slytherin serpent. 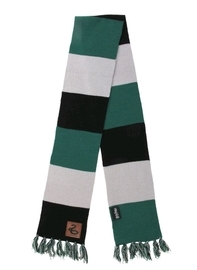 Whether you're gifting a warm winter wearable to a Wizarding World fan, or starting a larger Harry Potter inspired cosplay, this Harry Potter Slytherin Patch Striped Scarf will bring a bit of magic to your everyday wardrobe.